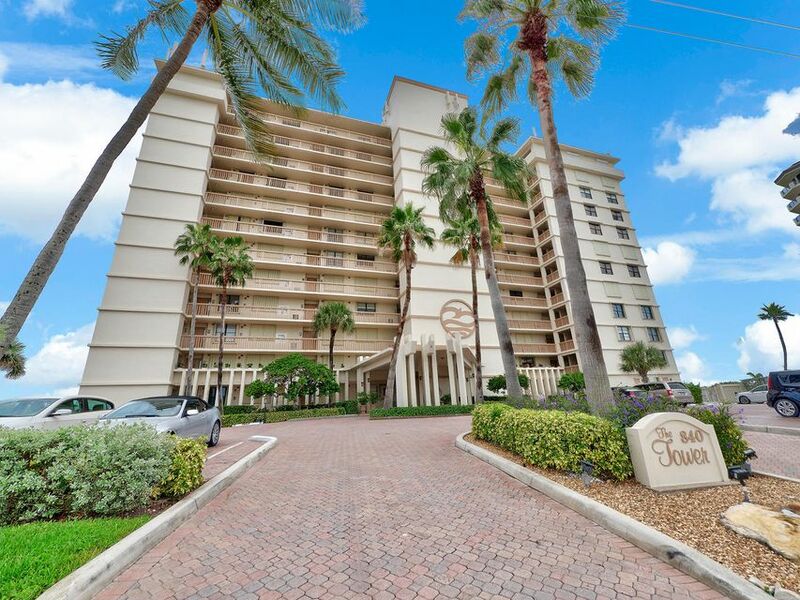 Contemporary style meets beachfront chic in this renovated, direct oceanfront condo in the heart of Juno Beach. Turquoise water views, ocean breezes and natural light highlight this amazing home. Porcelain "wood plank" flooring welcomes you home to jaw-dropping ocean views. The kitchen has been opened up, creating a modern open feel and upgraded with granite counters and new stainless steel appliances. New impact rated sliding doors pocket back maximizing the view and access to the oceanfront balcony. Spacious master bedroom is bathed in natural light and the ensuite master bath is adjoined to a walk in closet. Other upgrades include: custom upgraded bathrooms, contemporary 6" baseboard, solid core doors, new hardware throughout, , new bi-folds, chic lighting and fans.